Stroke. 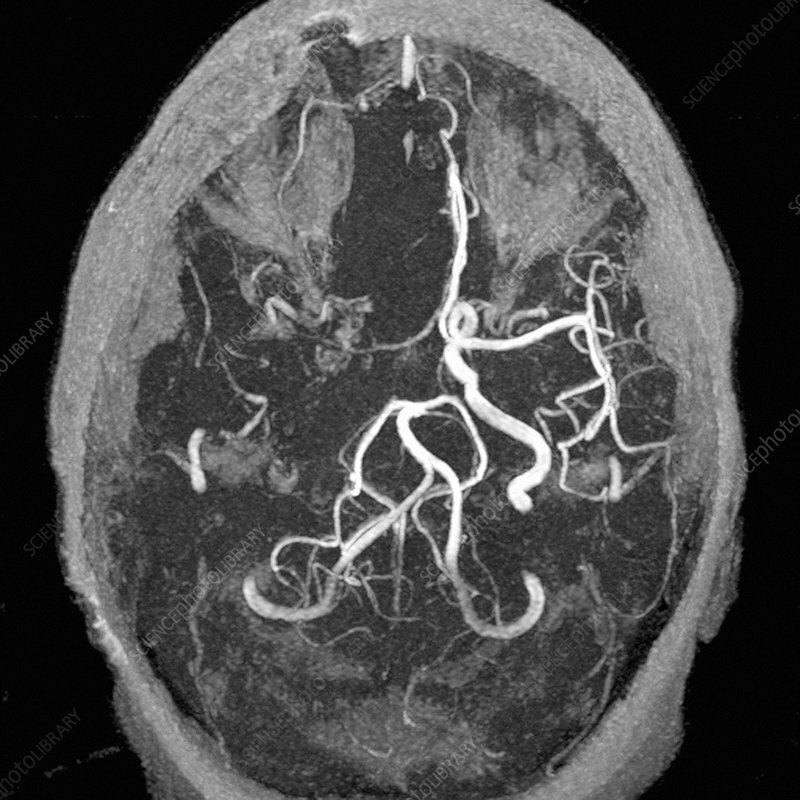 Magnetic resonance angiography (MRA) scan of the brain of a 32 year old woman after a massive cerebrovascular accident (CVA), or stroke. There are fewer blood vessels visible in the right hemisphere (left). This is due to a blocked right internal carotid artery causing areas of ischaemia (lack of blood flow) in the right hemisphere. The blockage may be due to a thrombus (blood clot) or embolism (air bubble or loose blood clot). Strokes can be instantly fatal, or may pass unnoticed. Symptoms can include muscle weakness, behavioural changes or paralysis.